King Nebuchadnezzar had a puzzling dream that no one could explain—until God gave the interpretation to Daniel. Does this dream have any significance for us? Daniel was an intelligent young Jew living in Jerusalem during the late 600s B.C. 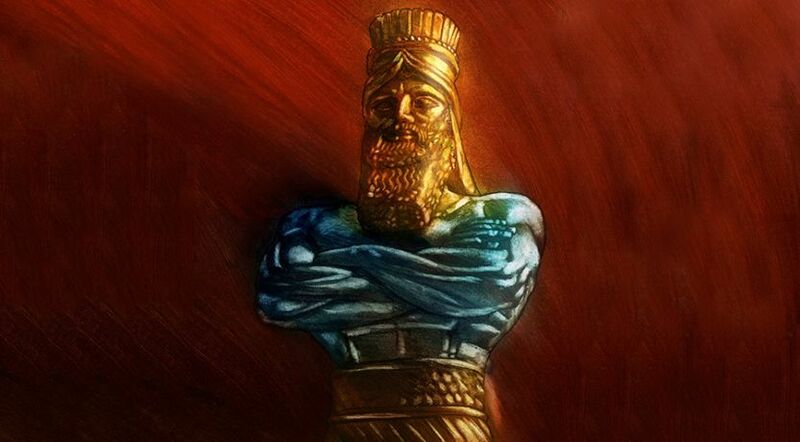 At this time the Chaldean Empire (also called the Babylonian Empire after its capital city, Babylon) was ascending to power under King Nebuchadnezzar. The Babylonian army invaded Judah sometime between 607 and 605 B.C. (see the article on Daniel 9 for a further explanation of these dates) and many Jews, including the children of prominent Jewish families, were taken to Babylon as prisoners. Among them were Daniel and his three friends, Hananiah, Mishael and Azariah (Daniel 1:1-6). Daniel’s natural ability and help from God soon led him to an appointment in the Babylonian government. The God of Israel, to whom Daniel remained faithful, gave Daniel the ability to interpret dreams and also presented Daniel with several visions (and their meanings). As we will soon see, these dreams and visions were prophecies of great empires that would exist from that time forward until the second coming of Jesus Christ to earth! Soon after Daniel entered into the civil service of King Nebuchadnezzar, the king had puzzling dreams that awakened him from his sleep (Daniel 2:1). At least one of them was so disturbing that the king called for his advisers to tell him his dream and to interpret it. If they didn’t do so, the king told them that they would be killed (verses 2-5). The king’s wise men—his magicians, astrologers and sorcerers—simply had no idea of the dream or its meaning. They told the king, “It is a difficult thing that the king requests, and there is no other who can tell it to the king except the gods, whose dwelling is not with flesh” (verse 11). In anger, the king gave the command to begin killing his wise men—including Daniel and his three friends, known by the Babylonian names Shadrach, Meshach and Abed-Nego. When Daniel learned of the king’s decree to kill his advisers, Daniel requested an opportunity to tell the king his dream and its interpretation. Daniel’s request was granted; and before meeting the king, Daniel shared the news with his three friends. All of them then beseeched God for His help and their deliverance from what appeared to be certain death. God then revealed both the king’s dream and its meaning in a vision to Daniel (verse 19). Appearing before King Nebuchadnezzar, Daniel told the king that there is a God in heaven who reveals secrets, and that He had revealed to Daniel not only the dream, but its interpretation (verse 28). Daniel then explained that the king had seen an awesome image standing before him. This massive image had a head of fine gold, chest and arms of silver, belly and thighs of bronze, legs of iron, and feet and toes partly of iron and partly of clay (verses 31-33). Then a great stone of supernatural origin—one “cut out without hands” (verse 34)—struck the image on its feet of iron and clay, whereupon the image was broken in pieces and blown away like chaff! The stone became a huge mountain that “filled the whole earth” (verse 35). What did this mean? The Bible interprets itself; and here God, through Daniel, gave the explanation. Daniel told King Nebuchadnezzar that the image represented four great kingdoms that would arise in succession to dominate the world. He told the king: “You are this head of gold”—meaning that the Babylonian Empire was the first of these four great empires (verse 38). “But after you shall arise another kingdom inferior to yours; then another, a third kingdom of bronze, which shall rule over all the earth. And the fourth kingdom shall be strong as iron … [and] will break in pieces and crush all the others” (verses 39-40). The last kingdom would “be divided” (verse 41), which is represented by the two legs. This empire, which was predicted to be “strong as iron,” would conquer all before it. Eventually, this empire is predicted to be represented by 10 concurrent kingdoms (the 10 toes), which will endure only for a short time (iron and clay do not form a strong bond). At that time Christ will return to crush this empire, along with all other nations that fight against Him, and set up the Kingdom of God, which shall never be destroyed (Zechariah 14:2-3; Revelation 11:15). to the time of Jesus Christ's second coming. The stone that smashes the image into little pieces is the future Kingdom of God, over which Jesus Christ will be the King (Revelation 11:15; 17:14). It is interesting to note that Jesus referred to Himself as a stone that had been “rejected” by men, becoming “the chief cornerstone” (Matthew 21:42). In the context of the Kingdom of God (verse 43), Jesus added: “And whoever falls on this stone will be broken; but on whomever it falls, it will grind him to powder” (verse 44). (For further study on this point, compare Mark 12:10; Luke 20:17; and Acts 4:10-11). After Daniel revealed the dream and its meaning to King Nebuchadnezzar, the monarch fell down before Daniel and appointed him as chief administrator over all the wise men of Babylon. While the dream God gave King Nebuchadnezzar did speak of four great kingdoms, the names—other than the fact that the Babylonian Empire was the first of these—were not given. The next two of these kingdoms would be revealed in a vision God later gave to Daniel that is recorded for us in chapter 7 of Daniel. Here Daniel describes a dream and a vision (Daniel 7:1) that foretold that four successive kingdoms would appear, occupying history from the Babylonian Empire down to the end time! In his dream Daniel saw four great beasts (verse 3). The first was like a lion; the second, like a bear; and the third, like a leopard. The fourth was dreadful and terrible and incredibly strong, with huge iron teeth. This beast devoured and trampled everything before it and had 10 horns on its head (verses 4-7). After asking for understanding, Daniel was told: “Those great beasts, which are four, are four kings [or kingdoms] which arise out of the earth. … The fourth beast … shall be different … and shall devour the whole earth, trample it and break it in pieces” (Daniel 7:17, 23, emphasis added). This prophecy confirms Nebuchadnezzar’s dream in Daniel 2 that there would be four great earthly kingdoms. The next chapter reveals the names of the next two kingdoms: The second kingdom (beast) would be “the kings of Media and Persia” and the third kingdom (beast) would be “the kingdom of Greece” (Daniel 8:20-21). Have the events that God foretold through Nebuchadnezzar’s dream (Daniel 2) and then in Daniel’s vision (Daniel 7) come to pass? Indeed they have thus far. Clearly, the Babylonian Empire existed, as did the next two empires identified in Daniel’s vision. History reveals that the Babylonian Empire ruled from 625 to 539 B.C. And, as predicted by God through Daniel, the next great kingdom was the Medo-Persian Empire. According to history, this empire began in 538 B.C. and lasted until 330 B.C., when it was overwhelmed by the Greco-Macedonian Empire, led by Alexander the Great. This empire conquered the whole Persian Empire in a matter of three years (333-330 B.C.) with speed, cunning and stealth like a leopard. A short time later, Alexander died, and his empire was split among his four generals (Daniel 8:8; 11:4). Finally, the fourth kingdom, which history shows to have been the Roman Empire (31 B.C. to A.D. 476), absorbed these divisions one after the other. The Roman Empire—the kingdom of iron—was the greatest war-making machine the world had ever known! As predicted by Daniel, it was incredibly strong, cunning and cruel. It ruthlessly conquered all the kingdoms that had preceded it. If we follow history closely, we see that these prophecies are coming to pass in every detail. How could Daniel have known, as far back as approximately 600 B.C., how these four great kingdoms would develop in the future? How indeed, unless this prophecy was inspired by God! Also symbolized by the two legs of Nebuchadnezzar’s image, the Roman Empire split into two divisions after A.D. 330. The Western division was headquartered in Rome; and the Eastern division, in Constantinople. The prophecies God revealed about great empires via Nebuchadnezzar’s dream and Daniel’s vision are coming to pass as indicated. Through the years, there have been multiple emergences of the Roman Empire. Daniel 2:41 speaks of 10 toes that represent a final end-time revival of this great kingdom. The 10 toes represent “ten kings who have received no kingdom as yet, but they receive authority for one hour as kings with the beast” (Revelation 17:12). These kingdoms last only a short time, until the time when the Stone (Christ) crushes the image and the Kingdom of God is set up and given to the saints. Note that the kingdom depicted by the 10 toes is still in the future: a union of 10 kingdoms that will hand its power to the beast of the book of Revelation for only a short time before crumbling, because iron does not bond well with clay. Today it appears that this final revival of the Roman Empire will emerge from nations currently in the European Union. The prophecy given in Daniel 2 and confirmed in Daniel 7 is amazing in its accuracy. If we follow history closely, we see that these prophecies are coming to pass in every detail. How could Daniel have known, as far back as approximately 600 B.C., how these four great kingdoms would develop in the future? How indeed, unless this prophecy was inspired by God! Considering an even broader expanse of human history, we note that God had promised Old Testament Israel that He would make of them a mighty nation—one that He would set “high above all nations of the earth”—provided they obeyed Him (Deuteronomy 28:1, also see Genesis 26:4; 48:4). However, if these people did not obey Him, God said that they would be taken into captivity (Deuteronomy 28:15, 41). Time and again, Israel and Judah (after the nation had divided into two kingdoms) ignored and disobeyed God. First, the northern kingdom of Israel was conquered by the Assyrians. Then Judah fell to Nebuchadnezzar and his army and many of its citizens were taken to Babylon. The prophecies God then revealed to King Nebuchadnezzar and Daniel about the major kingdoms of this world have been occurring just as God predicted. These prophecies also predict the coming Kingdom of God. Will you be part of it?